You might be thinking that a pet bowl is simply a pet bowl, but not all are similar. Different pet bowls offer different kind of features, and undoubtedly some are more practical than the others. Below given info can help you in getting a rough idea about the various kinds of pet bowls available in the market. 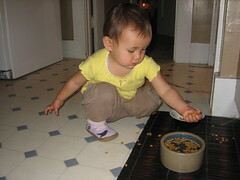 Plastic Pet Bowls: Plastic is cheerful as well as cheap. Plastic pet bowls come in a wide array of colors, sizes and shapes. However these types of food and water bowls might not be optimal for many cats and dogs. Some dogs and cats, being allergic to plastic, might get blackheads on their face or chin. Additionally, plastic bowls gradually develop hairline cracks, which can result in the breeding of germs if not cleaned with care.